(TibetanReview.net, Dec11, 2017) – On the eve of the 28th anniversary of the conferment of the Nobel Peace Prize on Tibet’s exiled spiritual leader, the Dalai Lama, the executive and legislative heads of the Central Tibetan Administration (CTA) at Dharamshala, India, addressed a gathering of Tibetans and Chinese in New York City. 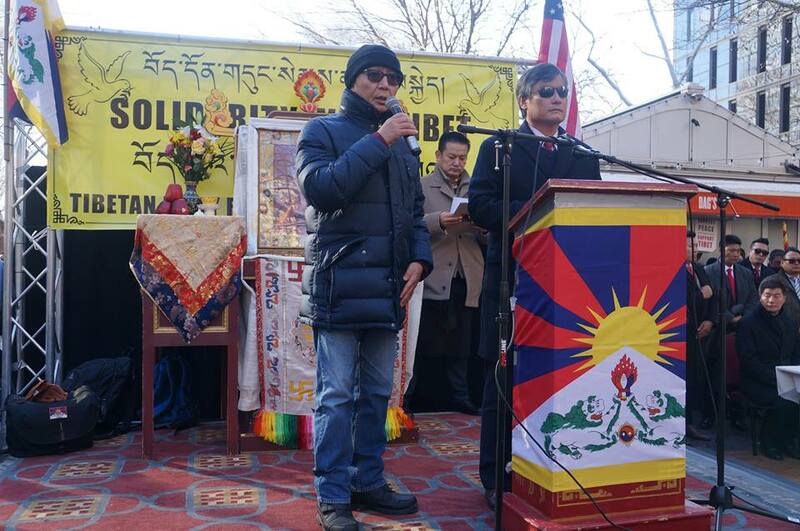 It was organised by the Office of Tibet in the city in collaboration with the Tibetan Community of NY&NJ. 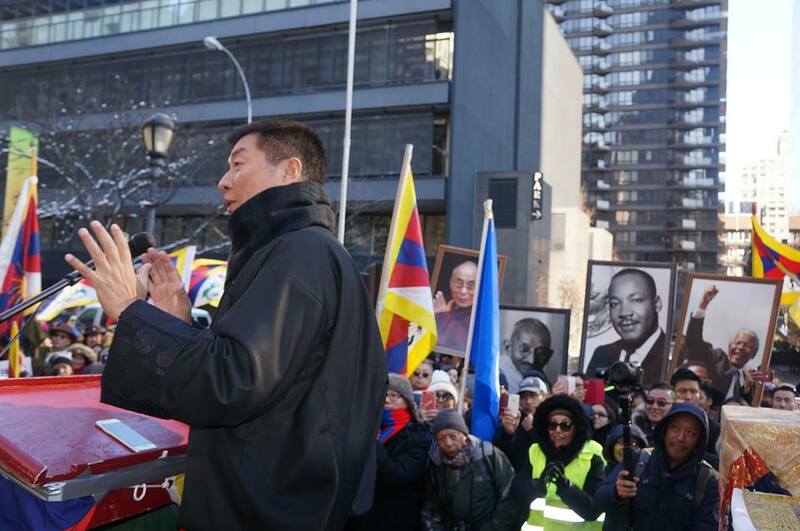 President Lobsang Sangay of the CTA was stated to have spoken about the importance of grassroots support from ordinary Chinese towards the resolution of the Tibet issue. Stating that maintaining friendly and harmonious relations between the two peoples was a wish of Tibet’s exiled spiritual leader, the Dalai Lama, he has applauded the gathering as an example of Sino-Tibetan friendship. Speaker Khenpo Sonam Tenphel has said the Chinese and Tibetans had rich historical and cultural relations since time immemorial which had resulted in many Chinese people expressing support for the CTA’s Middle Way Approach of seeking genuine autonomy, not independence, for Tibet. Chinese intellectuals who addressed the gathering were stated to include Prof Ming Xia, Hu PingWang, Wang Juntao, Li Weidong, Chen Pokong, Dr Yang Jingli and Xiang Xiaoji. 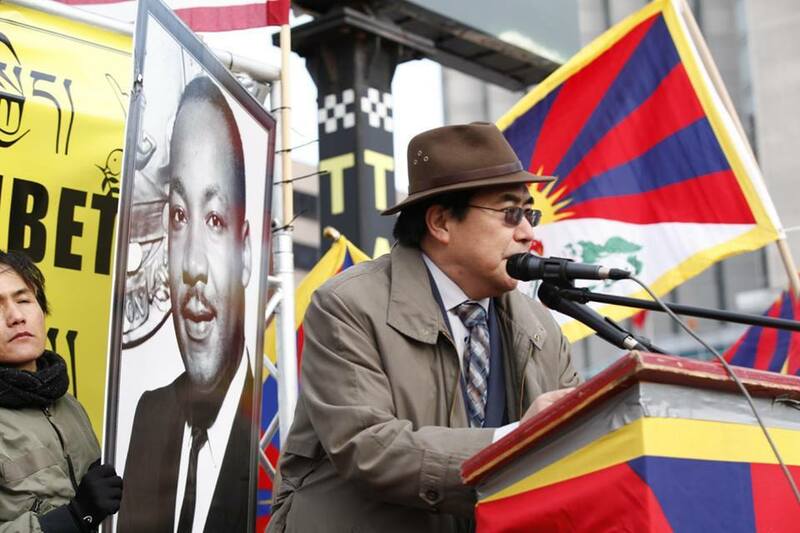 They were reported to have expressed admiration for the Dalai Lama’s vision for world peace and to have extended support for the resolution of the Tibet issue based on the Middle Way Approach. Newly appointed North America CTA Representative at the Office of Tibet, Mr Ngodup Tsering, was stated to have underscored the importance of Chinese outreach as one his primary undertakings. The venue of the gathering was the Bellozino hall in Jackson Heights, Queens. Apart from the two chief guests from Dhamashala, other guests were reported to included Prof Raj Mohan Gandhi (a great-grandson of Mahatma Gandhi) and the two North-America members of the Tibetan Parliament in Exile Ms Pema Chagzoetsang and Mr Tsewang Rigzin.